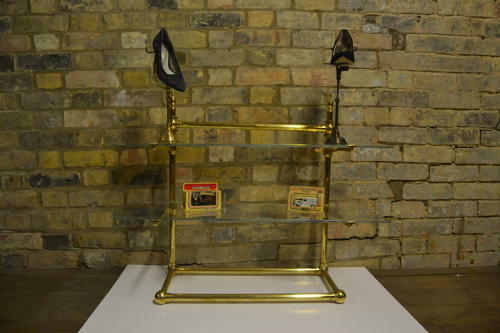 These bespoke brass counter top display units can be made to any size and can have any number of shelves. They can also be free standing or wall mounted. We also have two designs for the corners - take a look at the images to see these. Glass measurements can be adjusted to suit.